Happy New Years, from the Bullmarket Frenchies Gang! I hope everyone has a fabulous New Year’s Eve, and here’s to a healthy, happy, fun filled 2011! 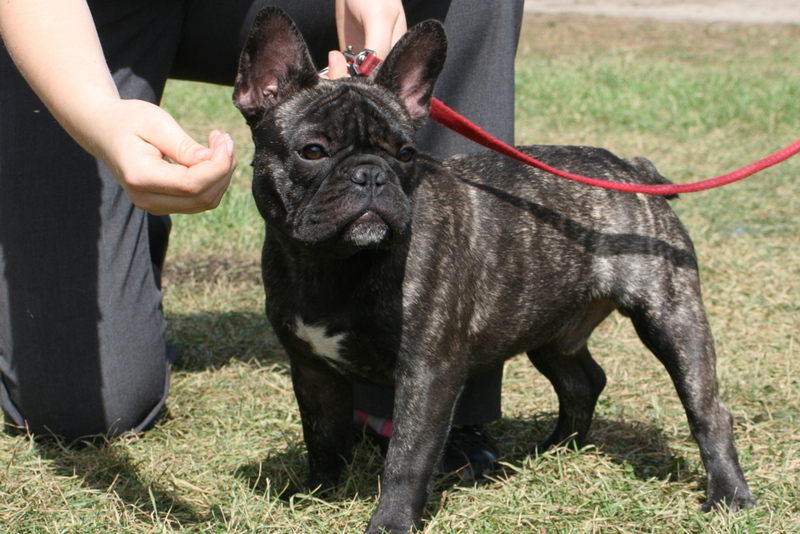 https://i0.wp.com/www.bullmarketfrogs.com/wp-content/uploads/2015/04/Brindle_pied_frenchbulldog.jpg?fit=662%2C662&ssl=1 662 662 Carol http://www.bullmarketfrogs.com/wp-content/uploads/2015/06/bullmarket-logo.png Carol2010-12-30 19:54:052010-12-30 19:54:05Happy New Years, from the Bullmarket Frenchies Gang! That’s CHAMPION Zeus, thank you! Thanks to Jean Ashley for offering at the last minute to handle for us this weekend at Elora Gorge, and for taking Zeus to Ch Bullmarket Absolut Notorious! 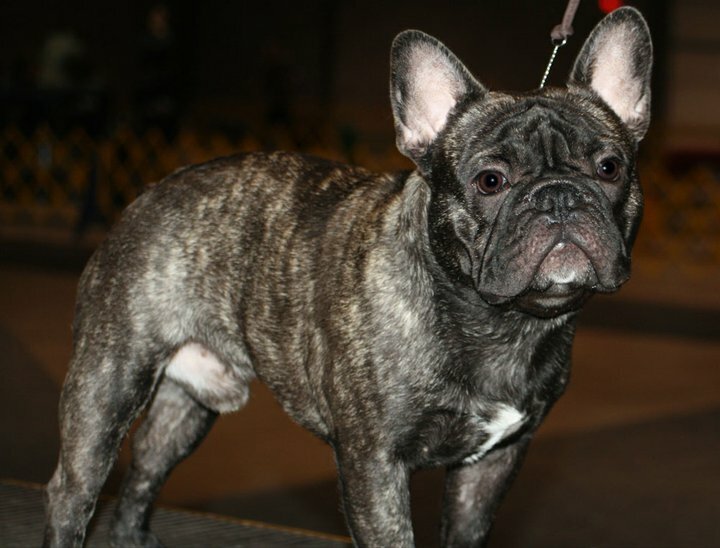 https://i0.wp.com/www.bullmarketfrogs.com/wp-content/uploads/2015/04/Brindle_pied_frenchbulldog.jpg?fit=662%2C662&ssl=1 662 662 Carol http://www.bullmarketfrogs.com/wp-content/uploads/2015/06/bullmarket-logo.png Carol2010-12-29 21:26:292010-12-29 21:26:29That's CHAMPION Zeus, thank you! Just a quick note to mention we’ll be showing Zeus in Kitchener on December 28th and 29th, at the “Christmas” dog shows at Bingemans. This is a nice chance for anyone interested in ‘talking dogs’ to come out and meet with us, ask some questions, meet some Frenchies and have a crash course lesson in watching a dog show. We are only attending the second and third days of the show. If you plan to come out, please try to aim for at least one hour BEFORE the listed ring time. If you come out too close to ring time, I will be too busy grooming and fretting to really have time to chat with you. I can’t tell you where we’ll be set up, but look for the Frenchies in the grooming area – we usually all try to set up close together, and if not, we’ll usually know where each other are. Please drop me a note if you’d like to attend, and I hope to meet some of you there! I spent the morning at the Bullmastiff Fancier’s of Canada Specialty (photo link coming) this morning, and got a special treat – a visit from Zeus (formerly Simon) and his owner, Tamika. Zeus looks fabulous, and best of all, he’s an utter darling of a boy. He loved everyone he met, adult, child or dog, and everyone loved him back. I can completely believe Tamika when she tells me that “people rush across the street just to be able to meet him!”. Thanks for coming out, Tamika, and I can’t wait to see Zeus in the ring this fall! This spring, just before Simon and Teddy went to their new homes, they developed a favorite game. One of them would go outside, get a piece of pea gravel, and bring it back into the house, and then they’d both take turns batting it all over the floor and then pouncing on it like it was prey. As you can imagine, this was not my favorite game, although I did like it somewhat better than their other game, which was called “You go under that chair and I’ll pull you out by digging my teeth into your thigh while you scream”. Every time I saw Simon or Teddy bringing a rock into their house (they looked like little kids trying to hide the illicit gum they were chewing – “rock im my mouf? whad rock im my mouf? Deres no rock im here”), I’d grab them and wrestle the rock away from them. Teddy one day saw me coming towards him, blinked a few times, and swallowed his rock with an audible ‘gulp’ sound. I had a worried day and change after that, picturing a rock just sitting in his stomach, wearing a hole in his lining while it calcified into the size of a brick. Of course, he handily pooped it out, and the next day he and Simon were once again trying to bring rocks inside the house. If I was worried, you can only imagine how the family of a five month old Pug puppy named Alfie felt when they realized he’d eaten not just one stone, but a full half pound of pebbles! …Owner Nicola Loizides, 43, spotted something was amiss when she picked him up and noticed he was ‘substantially heavier’. She put two and two together after feeling his stomach – which she said felt more like a Beanie Baby – and noticed him chewing a stone outside. The worried mother-of-two rushed Harrods-bought Alfie to the vets, where he went under the knife for an emergency operation. Vets pulled out half a pound of stones from his stomach just in the nick of time. Had it been left for longer the shingle could have perforated his intestines which would have potentially been fatal. ‘Alfie is a very lucky dog indeed. He must have been very sore but when he first came into the surgery he looked remarkably well – he was running about and wagging his tail. 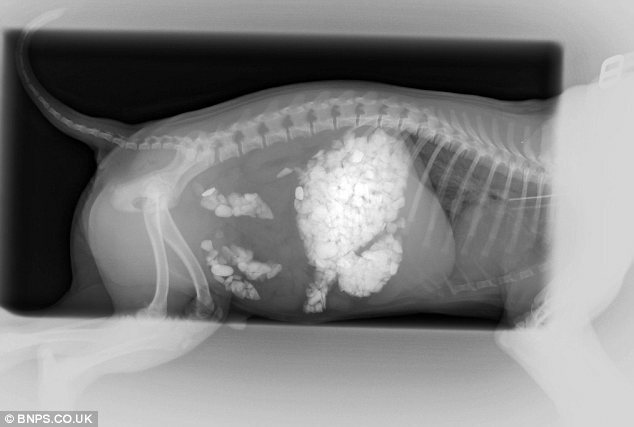 ‘His owner had seen him eating the stones, so we sent him in for an X-ray and it showed he had an entire stomach full. I couldn’t believe it. We sometimes have animals in who have swallowed the odd stone, but I’ve never seen anything quite like this. ‘We managed to operate to remove the stones and within half an hour Alfie was up and about again. ‘If his owner hadn’t caught it, the stones would have passed into his small intestine which could have been perforated.